Code Central has shown us how easily one can create a lightbox using YUI’s Dialog class. 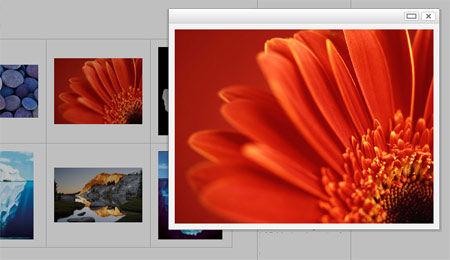 The lightbox incorporated many new features, along with old features such as drop and drag, it has an image preloader, it can scale large images to fit the window, it has a maximum button that allows you to inflate scaled images. You can even double click on the title bar to switch between maximized and scaled mode (for images that are larger than browser’s window area). You can also hide the lightbox conveniently by clicking on the image. LightWindow is the most powerful modal window I have seen so far. It has so many features, you have the complete ability to style and position it. It is very easy to implement as well. Lastly, most moal window application didn’t actually test for their media types and how they behaved in other browsers and operating systems. However, LightWindow has done a great job, other than images, inline content, iframe content and ajax content, it also supports Quicktime Movie, SWF and PDF.